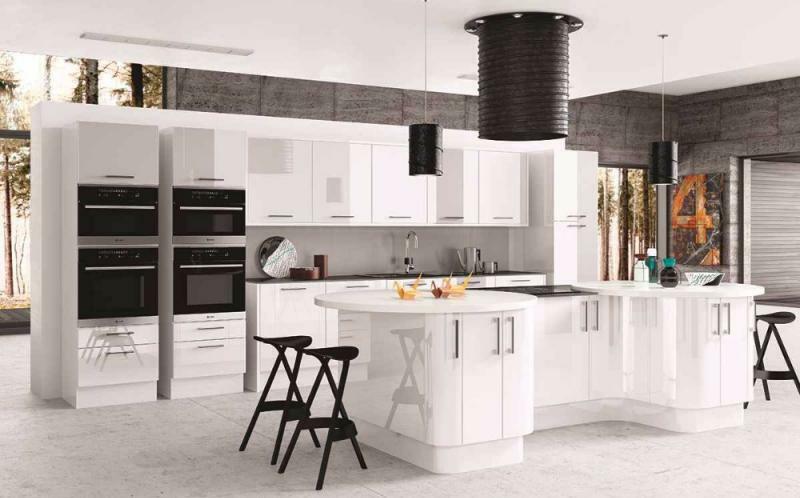 Gloss White kitchens have always given huge pleasure to those who enjoy clean lines. Simplicity or striking decor, both routes are within your grasp. 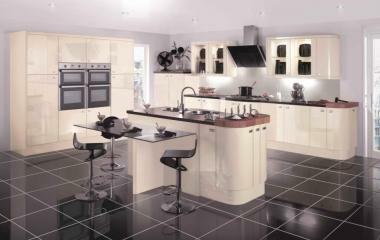 Gloss White has been strengthened with bold handles but left clean, uncluttered and functional. The highest quality of gloss available. The Gloss range is our flagship of the polished door choice. Here we show whats latest in curves, bows and radius post ends, enable a true softening of this tactile and flowing Oyster kitchen. The Gloss range doors are truly the best of their kind, bringing a lasting and luxuriant product for your designer to create from.